Generally for the average consumer, specific brands are chosen over others; whether it may be due to customer satisfaction, personal experience, external influence, etc. Do you prefer Coke or Pepsi? Canon or Nikon? Cooler Master or Thermaltake? The list goes on. Whatever the reason may be, the fact remains that we tend to enjoy the company of products from manufacturer "A" rather than manufacturer "B" -- and that's quite alright! Of course, the area of computer related hardware is far more malleable than say, your choice of soft drink. What I mean here is that although there are brands that we absolutely adore, we cannot ignore products that are released by another brand that simply blow the community away. Example, you purchase an Intel SSD and you are a proud supporter of Intel (Who wouldn't be). However, here comes OCZ Technology with the release of a new SSD -- in this case let's just say the new highly recommended 1337 imba OCZ Vertex 3 Max IOPS 240GB -- and as an enthusiast, you just cannot ignore the absolute amazing awesomeness of such engineering. Long story short, you get it. Am I implying that I prefer Thermaltake PSU's over Cooler Master and Cooler Master released a new PSU that will blow my mind? No. In this situation, I am looking a little deeper, more specifically towards Cooler Master's GX Series of power supply units. If you are a layman reading this, you probably have no clue as to what I am saying. Let me explain. 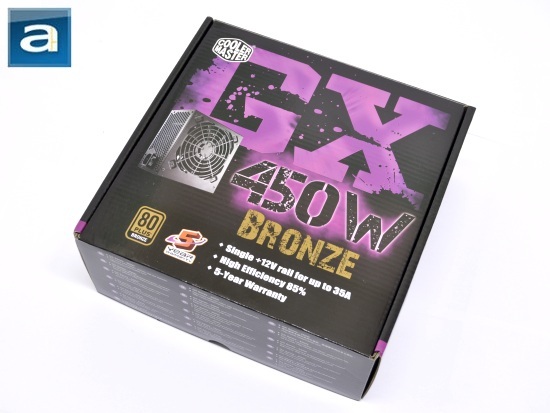 Although the GX line of power supply units are all from Cooler Master, the new GX 450W is actually manufactured by an entirely OEM than other infamous units of the same product line. So, in a sense, performance of the GX 450W is entirely different than the other PSUs of the series. So what happened under the hood? Read on to find out! 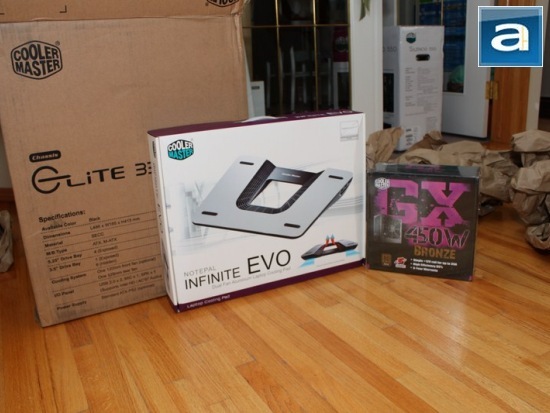 Today's review unit arrived to our APH Networks Calgary office along with the Cooler Master NotePal Infinite EVO covered a couple weeks back by yours truly. Using the above picture as a reference, you may be able to make the conclusion that both units were shipped using a Cooler Master Elite 335 box rather than the standard unmarked corrugated box. From our neighbors down south, the GX 450W made its safe trip via UPS standard in excellent condition. Removing the outer plastic wrapping around the power supply box will bring us to the conventional flap-box design. 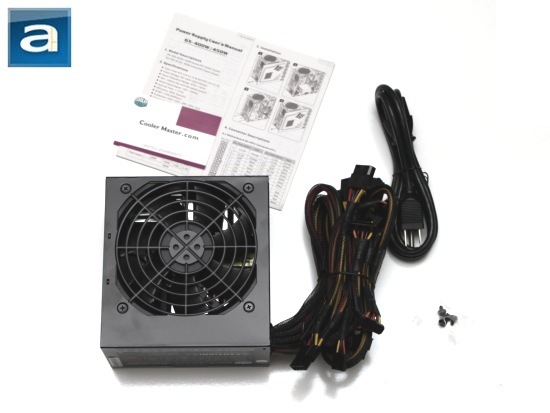 Inside, you will find the standard set of components including a user's manual/installation guide, warranty information/card, a power cable, and the unit itself. Since the GX 450W is no more than a mid-ranged power supply unit, we should not expect to find any nifty and luxurious accessories. With that said, let's move on.